How to naturally stop hunger. If you can’t control your hunger urges, they will control you. An inability to get to grips with hunger is one of the main reasons so many diets fail. Appetite suppressing diet pills can help, but there is no need to make the pills go it alone. Eating the right kind of food in the right kind of way can make a big difference and set you on the track to weight loss success. Clinical trials show eating a bowl of instant oatmeal can increase satiety and curb the desire to eat. A breakfast that contains eggs has been shown to fill up the stomach and suppress the appetite better than a breakfast consisting of bagels. Research shows eating rye bread at breakfast can decrease feelings of hunger all through the morning and well into the afternoon. Apples are a good source of pectin. Citrus fruits are better still. This is something every dieter needs to know because pectin delays gastric emptying and provides appetite control. 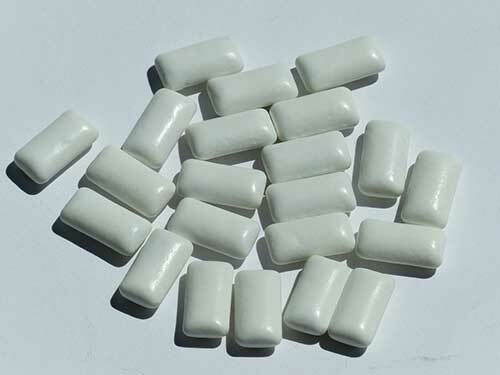 Chewing gum has been shown to be a good way to decrease calorie consumption and increase calorie burning. Donning a pair of blue shades at mealtimes can help you keep your portion sizes in check because the color blue can take a lot of the hunger out of you. Strange as it may seem, researchers have discovered people who eat off larger forks are likely to eat smaller portions at mealtimes. The results obtained from 56 independent studies show eating from a smaller plate can be a good way to reduce the amount of food you eat. Drinking cinnamon tea can lower insulin resistance and prevent the blood sugar spikes that often trigger desires for high-calorie food. 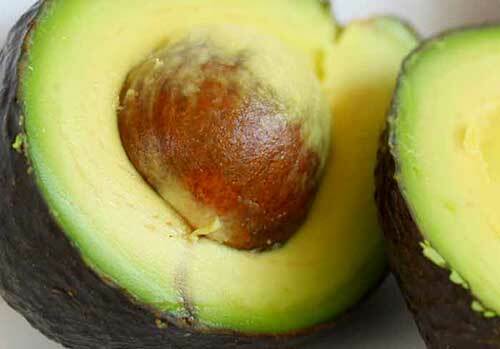 According to a research study published in Medical News Today, eating half an avocado for lunch can reduce hunger levels by 40%. Boiled potatoes are more filling than any other kind of food. Cod is filling, but halibut is better. It’s more filling than any other species of fish. Studies show cayenne pepper can take away your appetite. 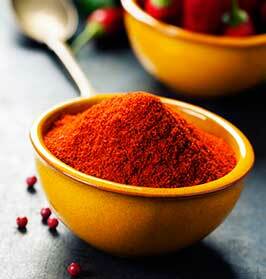 As a weight loss aid, cayenne is a pepper not to be sniffed at because it helps you burn more calories too. 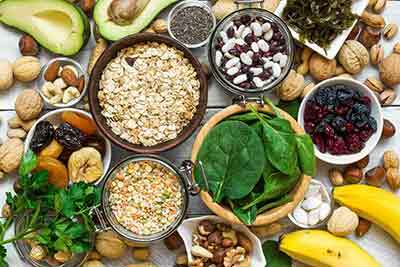 Eating more lean meat, fish, lentils cottage cheese, and other high-protein foods will be good for your muscles and help keep your stomach feeling nice and full. Studies show the pancreas responds to artificial sweeteners in a similar way to sugar. The resulting rise in insulin can trigger sugar cravings. Drinking peppermint tea is a good way to reduce hunger, but the response is believed to be more due to the minty smell rather than the taste. Research suggests the use of certain yoga postitions can reduce binge eating by 51%. Studies show drinking coffee reduces the appetite and may also provide extra longevity. 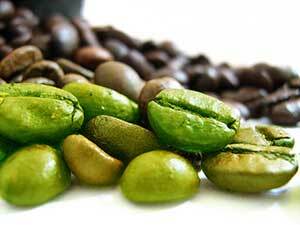 Green coffee beans have not been roasted, so they retain their natural abundance of chlorogenic acid. This popular fat burning chemical also has the ability to regulate blood sugar and insulin levels. Green tea causes the body to release a hormone that signals the brain the stomach is full. Tomatoes contain high amounts of water, air and dietary fiber. This makes them very good for filling the stomach. Red contains a compound called resveratrol. So do a lot of diet pills because research suggests consuming resveratrol has an appetite curbing effect. Drinking a few glasses of water shortly before your meals will help fill up your stomach and enable to you to feel satisfied by smaller portion sizes. Dark chocolate contains more cocoa and less fat than other types of chocolate. The high cocoa content allows it to turn down the appetite by triggering the release of hunger suppressing hormones. If you want to fantasize about chocolate and candy, that’s okay. Scientists have discovered imaging food consumption reduces actual consumption. If you dream about being slimmer, bed is the best place to do it. Research shows lack of sleep can lead to an increase in ghrelin (hunger hormone). Black licorice has hunger reducing capabilities, so eating a little licorice on a regular basis could be a sweet way to lose weight. Feeling hungry? Take a walk. Research shows walking stimulates the release of a hunger reducing hormone called peptide YY. Running can cause you to lose your appetite. Other intense aerobic activity can do it too. It works in a similar way to walking, but the benefits are likely to be more pronounced. Research proves eating more slowly at mealtimes can help you to eat less. People who rush their meals don’t allow the stomach enough time to signal the brain that it’s full. A few almonds can make a healthy snack because they lower serum glucose levels and help reduce the appetite. Eating tofu can be a good way to avoid overeating because it provides an appetite suppressing compound called genistein. Eating smaller meal portions and increasing meal frequency, so that food is consumed every two to three hours, can help you keep your appetite under control. Smaller portions are less likely to cause blood sugar spikes and eating more frequently prevents the blood sugar from becoming so low it triggers hunger.